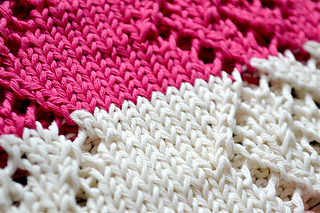 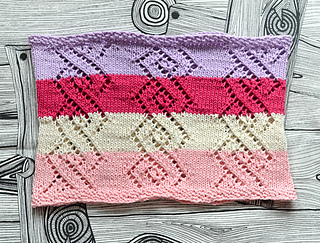 The LINKED-spring cowl is one of a set of 4 knitted items. 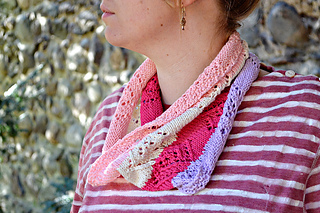 The LINKED series takes 4 different approaches to this particular lace pattern. 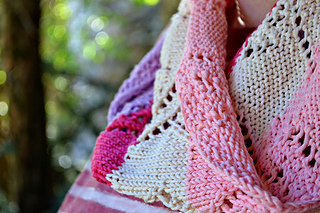 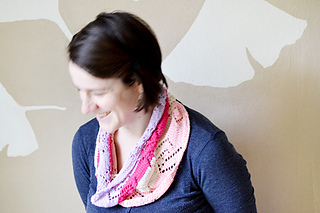 The Spring cowl is a soft and lofty cowl in dk wool.